But not for the Phantoms right now. The Hamilton Street Heroes have been putting the biscuit in the basket with alacrity of late. Dating back to last Saturday, they’ve netted 4, 5, then 6 goals last night. While the pattern would suggest 7 goals later this afternoon, I believe the Toronto Marlies will have something to say about that. And of course, that’s not the whole story, as the team has allowed 5, 6 and 5 goals in the three games that saw them go 1-1-0-1. We know the defense has been banged up lately, and ravaged by recalls, so there is an easy explanation. Alex Lyon was pulled in last night’s 6-5 victory in Binghamton and overall the goaltending could be better. Finally, there’s the matter of the Penalty Killing unit: It’s the worst in the 30-team league. G Alex Lyon was pulled from last night’s game in Binghamton while the team was losing 4-3 headed into the third period. I thought the Dustin Tokarski start Friday was somewhat surprising, and coupled with the hook for Lyon yesterday it leads me to speculate that perhaps Lyon is nicked up a little bit. Or, it could just be he’s been playing poorly in practice lately. If the former is the case, I’d expect Tokarski to start in net this afternoon. If it’s the latter, perhaps you get Lyon back out there to play his way out of it. We’re going to need them both playing well. 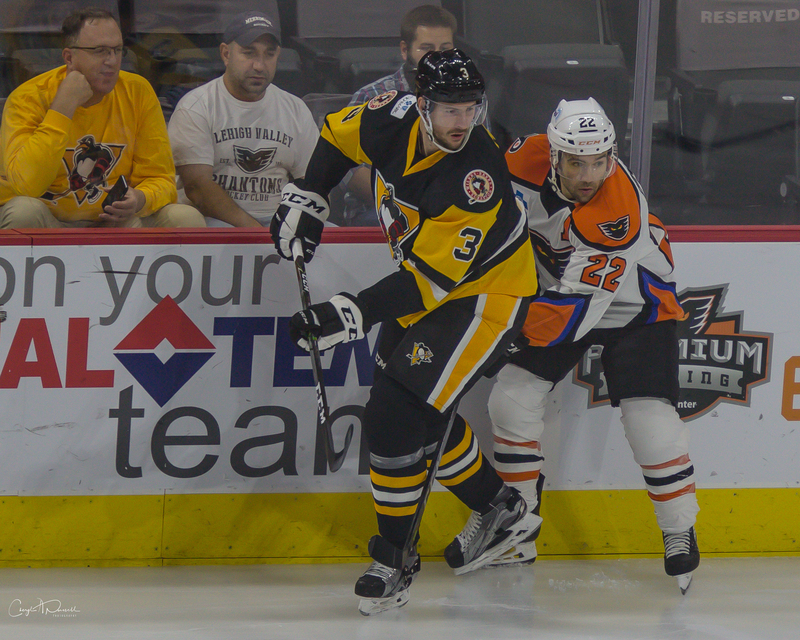 D TJ Brennan returned to game action Friday night in the shootout loss to the Penguins. He didn’t waste any time getting into the scoring columns as he sniped a spectacular goal and assisted on another. He added yet another goal last night in a game he ended +3 in the +/-. D Will O’Neill returned from the Flyers this morning after he was a healthy scratch in last night’s NHL contest with Gostisbehere’s retiurn. He should slot in today and add some experience to our blue line. Old friend D Adam Comrie joined the squad in Binghamton last night on PTO to fill in for ailing defenceman Phil Myers. Myers left Friday night’s game half way through and never returned. No word on the severity of his injury, if it’s the same ailment as previous, or when to expect him back. Recall D Sam Morin is also on the shelf, supposedly for a couple weeks. Last night’s Flyers game was a rough one, but no word of any serious injuries and they don’t play again until Thursday. 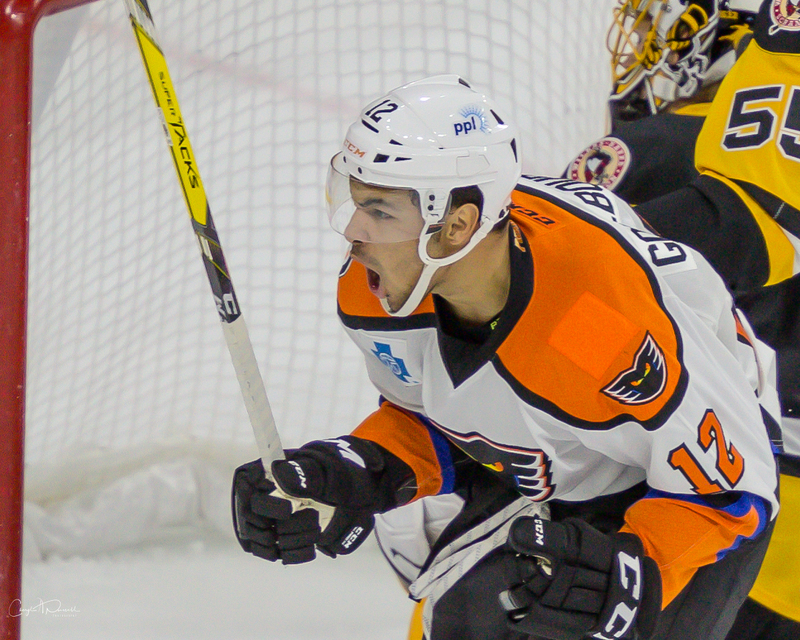 For the Phantoms, F Greg Carey was a surprise scratch last night and may be hurting as well. D Mark Friedman had a tough game last night posting a -4 in the box score. I think he’ll be OK; I’ve been impressed with his toughness overall. My observation is that he needs to pick his spots with respect to how aggressive to be joining the charge. All the shakeup on the blue line probably isn’t helping either. I don’t own a pink jersey (It’s pink in the rink today) and my tradition for this season is to wear white on Sundays and Wednesdays. The jersey up in the rotation for today is a Nick Cousins Adirondack jersey. However, given the 8 points veteran F Chris Conner has put up so far this weekend, I’m tempted to break with tradition and wear that one (Black, which is my Friday color) to salute him. We’ll see. Puck drop is at 5:05PM today, with doors opening at 4:00PM. Good seats still remain for the game, but depending on walk-up it could sell out. It should be a pretty good crowd. Get there early and use a “main” entrance if you want the pink flashlight giveaway. Elsewhere downtown, there is a concert at Symphony Hall at 3PM which should be ending about the same time as puck drop at the arena. Double check your favorite pre-game restaurant as all are not open on Sundays–Bell Hall for instance. Queen City BBQ is planning a kitchen renovation, but will be open for pre-game food and drink today. Watch to see if those cylindrical “can” speakers above the back rows of seats are on again. They were working for the first time in two seasons Friday night and it made for a loud game. I don’t totally care–the arena’s sound system is not the best as it seems to be “too loud” and unintelligible all at the same time. Watch to see who starts in goal. As I speculated above, a Tokarski start could signify some kind of minor injury for Lyon, and a Lyon start could mean he’s working through some things. Or, I could be totally off base, but it’s something to watch nonetheless. Watch to see who the blue-line scratch is. Comrie was in the box for six minutes last night, so I’d think it might be him. Watch to see if Carey is back in the lineup; I’m assuming Myers will not be. The power play has been somewhat better of late, but the penalty kill is still atrocious. Watch to see if those two units can improve. Toronto’s PP unit is about the same as ours, but their PK is the best we’ve faced all season. Watch to see if Conner can add to his 8 points so far this weekend. Watch Mark Friedman–see who he’s paired with and watch to see if he gets caught too far forward. If you need to catch football, there are TVs upstairs in the Miller Lite Loft, as well as by the Coors Light Bar behind section 108. You can also catch all the action in Chickie’s if needed. I’ve noticed some changes and oddities thus far this season with respect to parking. I’ll be updating my massive parking post shortly–contact me in the comments below or privately if you have any observations, suggestions, or problems I should know about with the parking situation. There are only FOUR (4) home games in the entire month of November! So, following today’s game, we’ll not be back at the PPL Center until the Saturday after Thanksgiving. 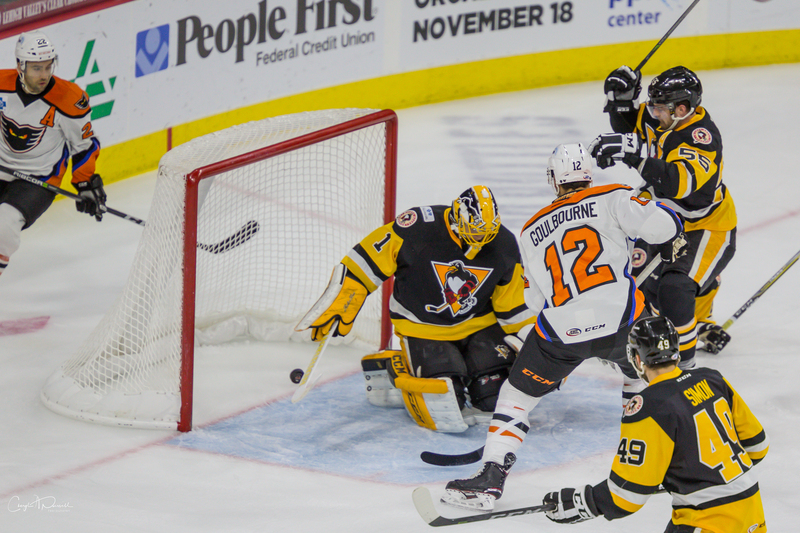 This week, they’ll head to Bridgeport for a Wednesday morning affair and next weekend they only have one game, in Hershey Saturday night. Then, a trip to Canada for the two new teams the following week, and Thanksgiving eve in Wilkes-Barre after that.